Last roar for circus animals? Animal circuses may be banned in Malta by the end of the year if MPs give weight to what people had to say on the matter. An overwhelming 94 per cent of the 398 people who took part in a public consultation exercise believe all animals should be banned from circuses, a spokesman for the Parliamentary Secretariat for Animal Rights said. Only 21 people, or five per cent, said animals should be allowed to perform in circuses. Four people said the ban should only apply to wild animals and that domestic animals, like dogs and cats, should be allowed to perform. Despite the result of the consultation exercise, the final decision will be taken by MPs who will be debating the subject in Parliament later this year. 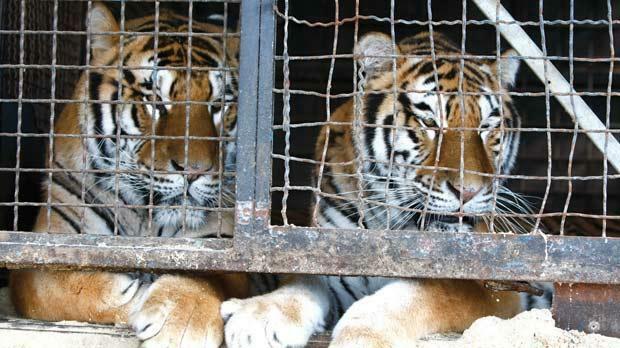 Over the past years animal rights activists have protested whenever an animal circus came to Malta. NGOs insisted that using animals for entertainment purposes constituted abuse and argued that animals were often beaten during the training process. Local circus organisers have always insisted that the animals were not ill-treated. The two-week public consultation, launched by the secretariat, closed on July 28. The public was invited to share views online or by sending a letter through the post. Some also called the offices of the secretariat to have their say. Participants where asked whether animals should be banned outright, whether there should be restrictions (such as a ban on wild animals like tigers and elephants) or whether animals should remain part of the circus. Over the past week the feedback received was compiled and it emerged that 373 people wanted an outright ban on all animals. Most said the training process was abusive and were concerned about small cages and the trauma animals went through while travelling. One of the 21 people who believed in keeping animals in circuses pointed out that circuses had helped in the protection of dying species. The spokesman explained that a White Paper was being drafted and had reached its final stages. It would then be presented to Cabinet before being discussed in Parliament. Once this process was completed a legal notice would be published by the end of the year.